Canflexographics and our International Partners, continually strive to provide a full range of award winning, custom product lines to the Canadian Printing Industry. The support and training we receive from our partners is second to none. This clearly demonstrates a commitment to our industry, and the technical advancements necessary to ensure that our clients are competitive in an evolving economy and progressive marketplace. We are very proud to be celebrating our 30th anniversary, of global partnerships serving our Canadian Printing Industry. It is our role to ensure that our clients are informed clients – making educated decisions. Our team strives to provide and demonstrate all appropriate print technology, options and resources. This shared commitment will allow our clients to make the best possible decisions for their organizations. We are extremely proud of the award winning, advanced designs of the Bobst Group and Mark Andy’s folding carton, label and flexible printing press equipment lines. Our partnership with Mark Andy further enhances our superior product mix, with the addition of digital colour printing technology. This technology, coupled with the key peripheral product lines that support these investments, ensure that we are in the forefront of a new generation of equipment. 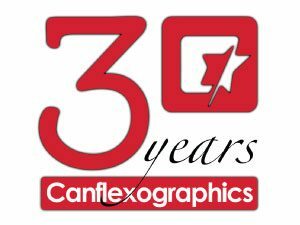 We have seen continuous advancements in both our industry and corporation since the inception of Canflexographics back in 1986. Our team of experienced, respected and knowledgeable professionals will bring the world of successful flexography and printing to your door. Cheers to our client’s and partner’s continued growth and success in the Canadian and International printing industry! Canflexographics President and CEO, Kelly Roberts, has been with the corporation for almost 20 years, and is responsible for new technology and product research, supplier recruitment, as well as selection of key industry partners. Kelly’s extensive education and experience in the printing field enables him to provide practical knowledge and key insight within all aspects and options of the printing process to his clients. Kelly proudly accepted his nomination to become a member of the Board of Directors for the Flexographic Technical Association (FTA) three years ago, and continues to support and work with the association closely today. 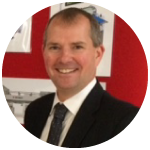 Kelly’s key strengths involve his ability to work collaboratively with clients to identify key corporate goals and printing requirements – and the development of a results oriented plan for success. Kelly lives in Burlington Ontario with his wife Christine and two young sons Owen and Ian. In his “off” time, Kelly is active in a mens hockey league, skiing, and training for his first marathon! 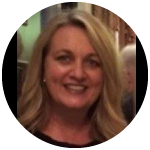 Christine Roberts, is Canflexographics Vice President and her responsibilities include, team management, business operations, and partner relations. Christine has been working with the corporation for over ten years. Christine’s background is in the corporate world, working for a National Corporation as their Director of Learning and Development. She researched, developed and facilitated CSTD (Canadian Society for Training & Development), Award winning training programs from Front-Line through to Management levels in many topic areas, some of which included, Ethics, Employee Management, Sales Training and Customer Service and Retention. These skills coupled with her client management skills made her a wonderful asset to the Canflexographics Ltd. team. In her spare time Christine enjoys spending time at the cottage and on the ski slopes with her husband and 2 young sons. Pascal Ross has been employed in the field of flexography for his entire career. He has held positions from Mechanical Designer, and Project Leader, to Technical Design Department Manager of a printing press manufacturer. This valuable experience has allowed him the opportunity to learn all aspects of printing equipment and their peripherals. Pascal works very closely with our partners and clients, which has further enhanced his expertise in critical problem solving on printing presses. 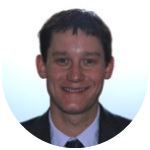 He is seamlessly able to work through many challenges clients face to assist and provide resources and successful solutions. Pascal’s in depth knowledge of the industry, commitment to representing superior products, and expert client relation skills are in perfect alignment with the vision and corporate goals of Canflexographics Ltd. These skills coupled with his professionalism and exceptional personal skills have made him a wonderful partner and asset to Canflexographics Ltd and our industry. “Pascal Ross a passé toute sa carrière dans le domaine de l’impression flexographique. Employé durant plusieurs années chez un manufacturier de presses flexographiques; il a occupé les postes de concepteur mécanique, chargé de projet pour aboutir au poste de Directeur du Bureau d’Études. Cette expérience lui a permis d’apprendre tous les aspects des presses flexographiques et de leurs périphériques. Pascal a, de plus, développé une expertise dans la résolution de problèmes complexes reliés aux presses. Il a su trouver des solutions à la majorité des défis qui se sont présentés à lui. Sa connaissance approfondie de l’industrie, sa volonté de représenter des produits de qualités supérieures ajoutés à son expertise vers la satisfaction de sa clientèle est sans aucun doute aligné parfaitement avec la vision et les objectifs corporatifs de Canflexographics Ltd.
Tous ces atouts combinés avec son professionnalisme et ses relations interpersonnels exceptionnelles font de lui une addition de premier plan pour Canflexographics Ltd.
Canflexographics is very fortunate to have Brian Ellis on our team – supporting and consulting with our clients in the province of British Columbia. Brian has been working within the flexographic and gravure printing industries for almost 10 years. Brian’s focus and attention to our industry progression and technologies has led to key partnerships with multiple international supply partners throughout his career. This alignment ensures Brian is able to provide solution based ideas and products to his customers. 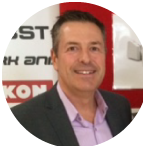 Brian brings valuable experience with multiple aspects of the printing process to our clients in BC and shares the same values and vision as the rest of the Canflexographics Team. Brian and his wife proudly welcomed their first child, a son, to their family this year! The Ellis family is very active in their home of Portland Oregon – enjoying skiing, surfing, mountain biking, and fly-fishing. Brian also plays competitive adult soccer year-round, and proudly brews his own beer! Another reason why he works so well with his Canadian clients! Canflexo is very pleased to have Brian on our team providing in person service and support in BC! Jamie Zimmerman is the newest member of our team of Sales Consultants, and we are very excited he has joined us at Canflexographics! 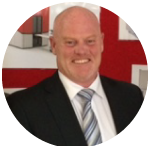 Jamie has been employed in the printing and converting industry for 25 years, and has held positions from Pressman in his early years – through to Manager of Operations at a very well known and successful Canadian Printing Corporation overseeing 150 employees. Jamie has spent the past 5 years in the fire protection industry, in the role of Provincial Sales Manager. Jamie is an active and dedicated Big Brother, and volunteers his time on local committees on behalf of Big Brothers and Sisters of Canada, and currently sits on their Board of Directors. Throughout the past 18 years, he has completed 200+ speeches promoting the organization, it’s importance and positive impact on the youth and families in our area. Jamie is also a proud member of the Dundas Lions Club, and serves on their association’s Board of Directors, showing his dedication and the importance of giving back to his community. This diverse scope of experience within our sector – coupled with his extensive volunteering experience, and strong interpersonal skills, allows Jamie to bring his dedication, professionalism, first hand knowledge and experience to our clients and their unique challenges and printing requirements. Jamie lives in Dundas, Ontario with his wife Lisa, and in his spare time, loves to volunteer within his community, play hockey in the winter and golf in the summer!